Few things are more heartbreaking for parents than seeing their newborn baby sustain a birth injury, especially when the injury could have been prevented. Illinois parents trust obstetricians, gynecologists, midwives and nurses to take the utmost care when delivering their children. Unfortunately, negligence happens. Childbirth is a complicated and unpredictable experience where every second – and every decision – counts. From improper fetal monitoring to the failure to order a C-section in a timely manner, the inadvisable actions of health care providers can result in devastating birth injuries that have profound impacts for babies and their parents. Approximately seven out of every 1,000 births in the U.S. results in a mild to severe birth injury, according to national birth injury statistics. It’s estimated that up to one half of birth injuries could have been avoided with proper medical care. Many babies recover from birth injuries without long-term damage, but a portion of children will suffer from permanent physical and cognitive disabilities, developmental delays, and even death. Lasting injuries put a serious strain on parents, both emotionally and financially. Caring for a child with a brain injury or developmental disabilities requires substantial quantities of time and money. Many parents of children with birth injuries struggle financially due to the ongoing cost of medical care, physical therapy, education, home modifications and other expenses. In addition, families caring for disabled children may be affected by lost earnings potential, reduced quality of life, mental distress, and pain and suffering. This is where a top Chicago personal injury lawyer can help, as we believe that it’s vital to help families such as yours to recover the compensation you deserve for the many losses that arise following a child’s injury during birth. Medical Lawsuit FAQs – How Common are Birth Injuries? According to figures released by the National Healthcare Quality Report (AHRQ), 28,000 birth injuries are reported in the United States each year. This works out to just over 2,300 injuries every month or 3 per hour. In one year alone, approximately 157,000 newborns suffered injury during the labor and delivery process in the U.S. The AHRQ’s figures indicate that the prevalence of birth injuries for mothers with a non-instrument-assisted vaginal birth is one third less than the injury rate for women who undergo instrument-assisted vaginal births, including births that involve forceps and vacuum devices. The lowest incidence of birth injury is associated with cesarean section. The risk of complications increases with maternal age, so the older the mother, the higher the risk of complications, and complications are linked to a much higher risk of birth trauma. Medical Definitions: What is Considered a Birth Injury? The definition of a birth injury will play an important role in your case. The term “birth injury” refers to any injury or condition that arises during the labor and delivery process. This can range from a bruise or a bone fracture to more profound and serious conditions such as spinal cord injuries and brain injuries. A large percentage of injuries are considered avoidable injuries; in other words, if your medical team had taken the appropriate action, the birth injury could have been avoided. It’s important to note the difference between a birth injury and a birth defect. A birth defect is an anomaly that arises due to a genetic difference or due to conditions in the womb during the pregnancy. Some birth defects are avoidable, while others are not. Certain birth defects, such as those that arise as a result of taking a medication during pregnancy, can also be grounds for a lawsuit. What are the Most Common Types of Birth Injuries That Your Chicago Attorneys See? We see many different types of birth injuries varying significantly in terms of nature and severity. Brachial plexus injuries, such as Erb’s palsy. Birth injuries can occur as a result of negligence that occurs before, during or after delivery. Failure to recognize a condition such as preeclampsia during pregnancy can have dramatic consequences for both mother and fetus. Oxygen deprivation or forceps errors can harm a baby during delivery. A slow response to bleeding following delivery can have life-threatening postpartum consequences. Our Chicago personal injury attorneys believe doctors and other medical care providers who act negligently should be held financially responsible for their actions. If you suspect a medical provider’s error or carelessness may have contributed to your child’s injury, it’s wise to consult with an experienced birth injury attorney who can determine whether you could be entitled to compensation in a medical malpractice lawsuit. FAQs – What are the Most Common Causes of Birth Injuries? Birth injuries can arise due to many different circumstances and factors. A physician’s decision to allow a vaginal birth instead of a C-section is one of the most common birth injury causes. Waiting too long to perform a C-section can also lead to lifelong effects on the baby. Oxygen deprivation — better known as hypoxia — can occur if the baby is stuck in the birth canal. The use of forceps or vacuum devices can also cause birth injuries to newborns. Using excessive force during delivery can also cause problems such as shoulder dystocia. How Much is the Compensation for Birth Injury Lawsuits? Your birth injury attorney will work with you to determine a suitable sum to seek by way of compensation. The precise amount varies quite dramatically depending upon the nature of the child’s injury. An injury that results in no permanent, lasting damage may result in compensation for medical bills and pain and suffering, whereas birth injuries that result in long term or lifelong effects can result in a very significant sum, with the child receiving compensation for past and future medical expenses, adaptive equipment, pain and suffering, and other expenses and losses that are a direct result of the birth injury. At Phillips Law Offices, we have more than 65 years of experience assisting injured people and their loved ones. Our Chicago medical malpractice attorneys have helped recover millions of dollars in damages for children and their families who have sustained injuries as the result of negligent doctors and medical staffs. Our personal injury lawyers draw on our wealth of expertise and resources to evaluate and investigate birth injury claims, build strong and persuasive cases and win justice for our clients in even the most complex of birth injury lawsuits. Birth injuries frequently have life-shattering effects for babies and parents. When injuries occur due to the negligence of doctors or hospital staff, victims may be able to recover damages for the physical, financial and emotional losses they have incurred. 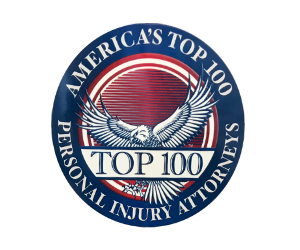 Trust your case to one of the Midwest’s top law firms dealing in medical injury lawsuits. Contact our Chicago birth injury attorneys online or call us at (312) 346-4262 for a free consultation – and let us help your family recover the compensation you deserve.